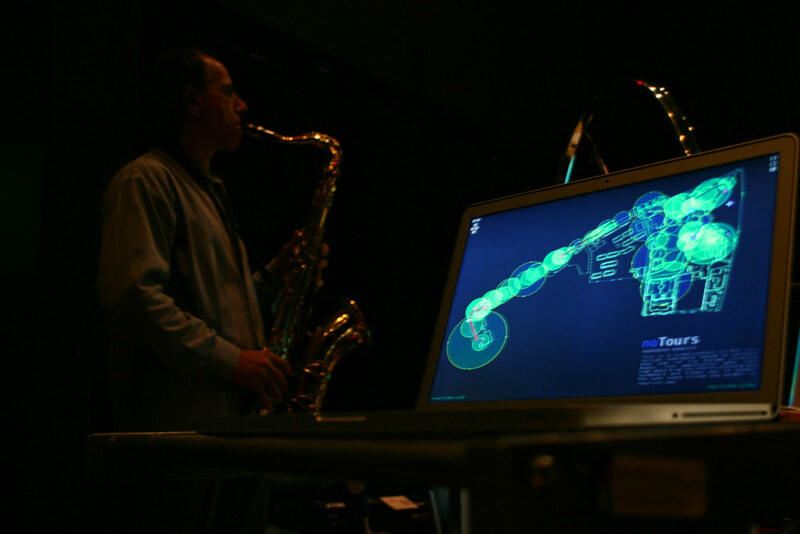 These projects took advantage of Location-based Audio and other Interactive Media and Game-Engine Technologies, combined with music composition and computer music. Composers wanted to take a step forward the way we interact with cities and people and learn from other agents who do so; e.g. historians, social enterprise leaders, developers, policy makers, archaeologists, urban planners, heritage officials, to mention a few. By combining creative forces to collage narratives and sound via soundwalks, composers and sound aggregators can also interact with other disciplines to project a new understanding of a specific place and time. Such audio-guided geo-walks may convert the city into a new ‘open hall’ to experience sound. 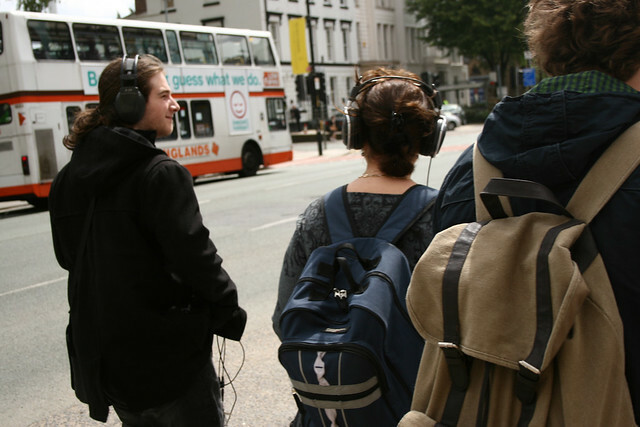 Our Locative Audio soundwalks were literally connected to the concert hall using standard mobile phone 3G technology and geo-location so that performers, composers and audiences will be able to interact with the city from the hall and viceversa. We had then the opportunity of releasing the first concert for noTours and Ensemble, who improvised with the actual sounds that the walkers were experiencing at that moment. For the tours we provided a number of smartphones with GPS and 3G Sim cards with pre-loaded data. During the walk, our app developed for this event sent the location of the participants every 4 seconds to our server. This information was available to other creators in the concert hall to create visualizations, sonifications, art works, performances, etc. Who was behind Locative Audio? A group of pople at NOVARS Research Centre, University of Manchester. Back in March 2011 who have run an experimental project in collaboration with Cities@manchester, NoTours.org, Escoitar.org and the MANTIS Festival, including our first Audioguide City tour using smartphones/GPS technology and other musical events. In 2012 we continue to broaden avenues by inviting researchers and practitioners from around the country and beyond, to respond to the idea of combining: “The concert hall’, as an immersive interactive environment (often using physics-graphics-audio-game engines and virtual worlds) which can potentially connect with the former.